Stop-start animation showing the relationship between parent and child. Here the child acts �now in reverse� taking the role as parent. 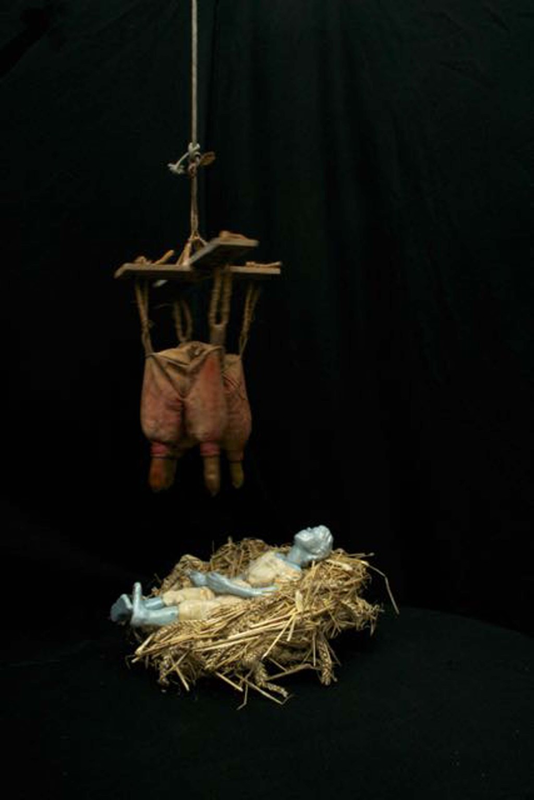 The cows udder and child sculpture are made from glazed ceramic and textile.